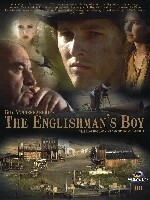 Guy Vanderhaeghe has adapted his Governor General Award-winning novel, The Englishman’s Boy, as a two-part, four-hour mini-series. The Englishman’s Boy, which was shortlisted for the Giller Prize and the International IMPAC Dublin Award, weaves two parallel narratives into one spellbinding story. In 1920s Hollywood, the young Canadian writer Harry Vincent is engaged by Damon Ira Chance, a movie mogul, to track down an elusive old-time Western actor whose story will be the basis of the producer’s new film. Chance is an enigmatic visionary who is determined to make a film of epic proportions—a sweeping, revisionist saga that will mark his own place in history. He will stop at nothing to do this, even if it means lying to and manipulating his new writer. Vincent’s relationships with both the actor and the megalomaniac studio boss lead to disturbing revelations about the dark side of myth-making. In counterpoint to the realm of Hollywood is the haunting story of a young drifter known simply as “the Englishman’s boy.” In 1873, the boy joins a group of wolf hunters led by the brutal Hardwick en route north into Canada on the trail of horse thieves. Their journey through an unforgiving land climaxes in a brutal encounter with the Assiniboine Indians in the Cypress Hills of what is now known as Saskatchewan.